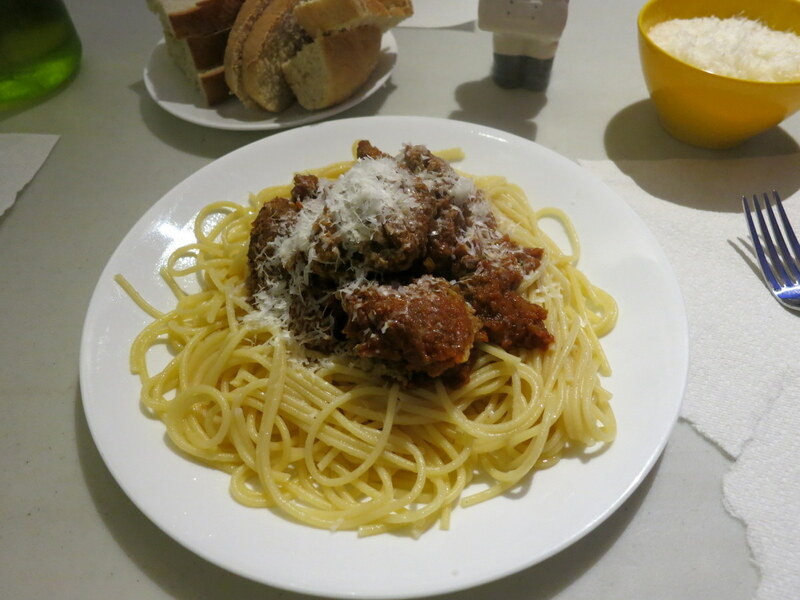 Well tonight was my night to cook and I settled on spaghetti and meatballs (arrabbiata since this crew like everything spicy). I pretty much never even attempt Italian; when you have Italians in the family it hardly seems worth it. Not quite up to their standards but for Martian food it will do. 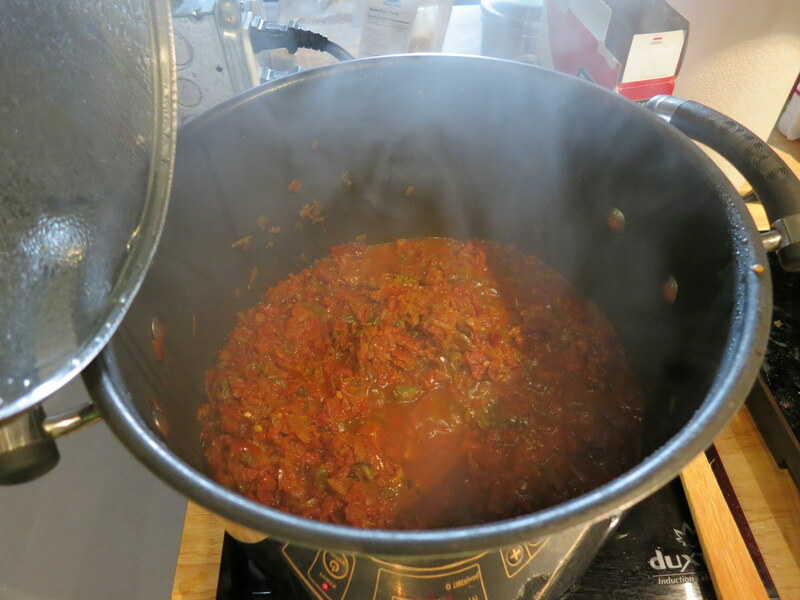 The sauce was dehydrated tomatoes, onions, jalapenos plus a bit of tomato paste (not something we have much of), tomato powder, herbs and spices. Simmered for a while and then used the immersion blender to smooth it out a bit. 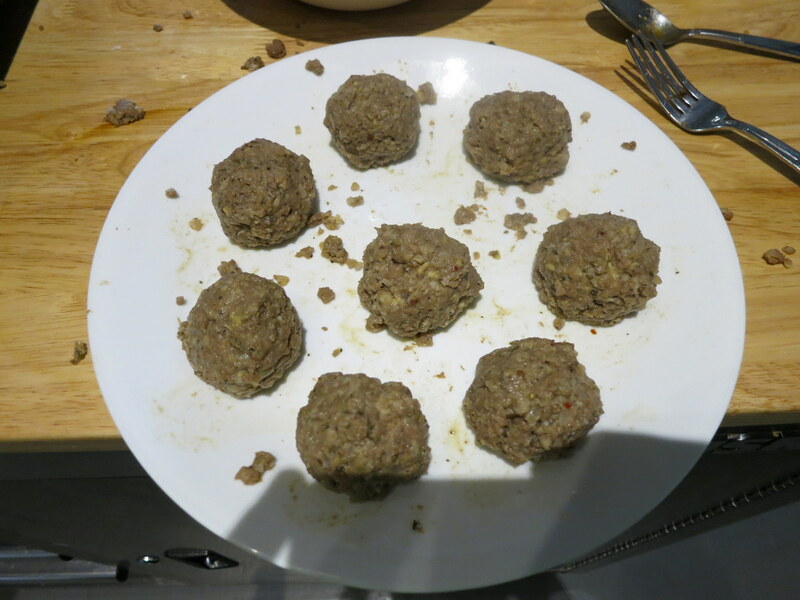 Meatballs were dehydrated steak, sausage and hamburger all ground up with reconstituted egg, cornstarch and a bit of crushed up chex as binder/filler (no bread crumbs since they need to be gluten free). Then fried and baked. The sauce left a bit left a bit to be desired in my mind, it is just hard to make dehydrated tomatoes into anything resembling normal. That said, we didn’t seem to have much of an issue putting away most of it.